In the first semester of my first year, I took a class called “Crusades” taught by Professor Komornicka in the Corcoran Department of History. I came into the University of Virginia thinking that I was going to become an English major, but this class completely changed that. This is the class that really sparked an interest in change for me and allowed me the opportunity to shift my sails and pursue a double major in Medieval Studies and Religious Studies. My favorite thing about studying at UVA is writing research papers and the process that goes into it. For the class on the Crusades, we had numerous different assignments that opened up opportunities for research using the UVA library system. The first step for me was to use the Virgo search database and the library stacks to find related sources to build a thesis. “In the beginning phases of research, my curiosity was fixated on solidifying the textual history behind “The Saga of Sigurd the Crusader” which was featured in The Crusades: A Reader. The authors of this text, S.J. Allen and Emilie Amt, cited Thomas Wright’s Early Travels in Palestine, that was published in 1848, as their source material. Naturally, I wanted to find this source and after much determination I found the book on Virgo and pulled it from its dusty slumber inside Alderman, our main library. Gently taking it out of its protective box, the awe overtook me. Looking under “Contents” I quickly found “The Saga of Sigurd the Crusader, A.D. 1107-1110.” I flipped to the corresponding, delicate pages and immediately looked for Wright’s source. Under the title he writes “From the Heimskringla, or Chronicle of the Kings of Norway, By Samuel Laing, Esq.” Continuing my quest for the most precise origin I began researching background information on Heimskringla and Samuel Laing. Through the UVA Virgo resource I discovered a more direct English translation from 1844 without the editing by Mr. Wright. The original Heimskringla was written in Icelandic by Snorri Sturluson in c. 1225. After completing this tedious sleuthing, I decided to write my report on the bias that was evident as this Saga was passed down and translated from the medieval era to present day. This is just one narrative of how the University of Virginia library system allows students to really go into depth with their studies and explore the huge selection and variety of sources. Whatever your area of study is, there is opportunity for research in one of our 16 libraries. Find you niche, find your passion, and experience discovery! Charlottesville in the summer has a much different vibe than when school is in session. The Grounds are less bustling, libraries are virtually empty, parking is easier, and things are all around a lot quieter. However, having fewer students around doesn’t mean there’s nothing to do. This summer the UVa Admissions Office interns are taking advantage of all the things there are to do in Charlottesville – revisiting favorite activities we’ve done with friends during the school year and doing some extra adventuring around town to places we haven’t checked out before. This week the interns went to trivia night at Mellow Mushroom, a popular pizza joint located at the end of the Corner, a lively area full of shops and restaurants that’s always packed when students are around. Not only is Mellow known for its uniquely named and tasting pizzas, but also for its Wednesday night trivia, an incredibly popular event for UVa students – this activity has even landed on the UVa bookstore’s “Things to To Before You Graduate List”! When we got to Mellow, it was already pretty crowded with customers chatting and eating and preparing their trivia teams. We ordered and then set out to create a team named based off of the theme of the night – non-princess Disney characters. Although we were far from winning the coveted $50 gift card at the end of the night, we had an absolute blast and are already planning our comeback next week. The rural areas surrounding Charlottesville are absolutely gorgeous and you don’t have to drive far to find great views of the Blue Ridge Mountains and, even better, great food. Chiles orchard is only a 20-minute drive from Grounds and has rows upon rows of fresh strawberries and peaches for visitors to pick. If handpicking the fruit yourself isn’t for you, the Chiles Orchard store sells fresh fruits already boxed for sale as well as their famous strawberry cinnamon donuts! Did I mention the mountains? 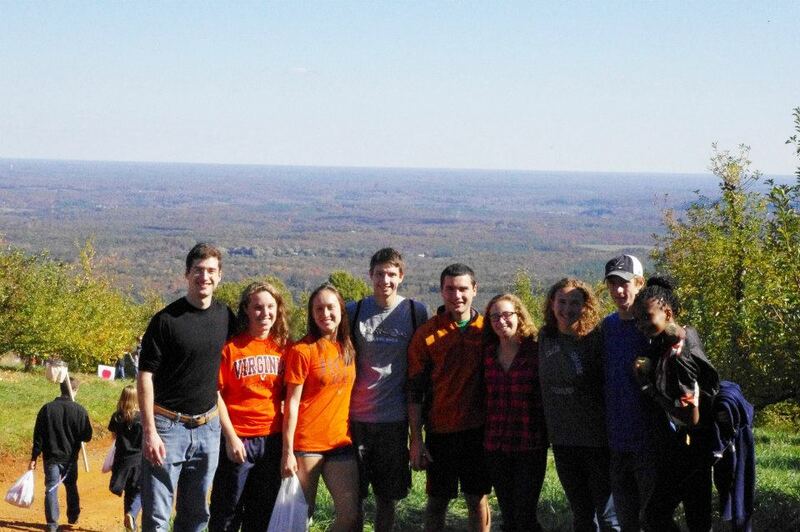 There are so many great hiking trails located around Charlottesville, but the most popular for UVa students is Humpback Mountain. This short hike is about 20 minutes from Grounds and offers a spectacular view from the summit. Most students hike Humpback in the wee hours of the morning to catch the sunrise over the Blue Ridge Mountains! The downtown mall is always bustling with activity, but one of the most popular events for students and locals is Fridays after 5. Every Friday, starting around 5:30, the downtown mall offers free concerts at the nTelos Wireless Pavilion, delicious meals from food truck vendors, and even a few discounts and specials at shops nearby. This is an awesome event to attend with friends or family and whether you choose to stop by for only a few minutes or stay and enjoy the music and vendors you’re sure to have a good time! Haven’t had enough of downtown Charlottesville? Come back Saturday mornings for the farmer’s market, a neat event where local vendors fill the parking lots outside of the downtown mall and sell everything from flowers to omelets to jewelry to woodwork to baked goods. The market is always full of students and locals and is a great place to get brunch or find unique gifts. The mall is just a couple miles from grounds so it’s not uncommon to see students walking there or taking the free trolley! Located a stone’s throw from the downtown mall, the IX Art Park is a really neat area where creativity meets innovation. Local artists create interactive projects that are completely open to the public. The most recent attractions at the park include a two-person bike in which the riders sit side-by-side, musical pipes, a throne built out of books, a chalk wall, and an enormous mural. It’s easy to get lost in everything the park offers for an hour or two, and no matter which project you choose to engage with, be sure to take a picture!! Like I said before, there are so many things to do in Charlottesville year round and these are only a few of the most popular and cheapest options. Check out the UVa Admissions Office intern Instagram, @uva_summer, to find more pictures of us exploring the town this summer! 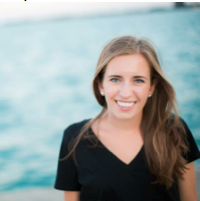 Meet the Summer 2015 Admissions Office Interns! My name is Obumneke Ifesinachi Obi (I go by my nickname "Ify") and I am currently a rising 4th year in the College of Arts and Sciences. I am on the pre-med track and double majoring in Psychology and Photography. I was born and raised in Washington, DC, but now I currently reside in Northern Virginia. Something most people don't know about me is that I went to boarding school in the capitol of Nigeria, Abuja, for 6 years (from 7th grade to 12th grade) before coming back to the US to attend UVa. I love to travel, cook and take pictures! I'm excited about interning at the Office of Admissions this summer and being a tour guide! Hey everyone! 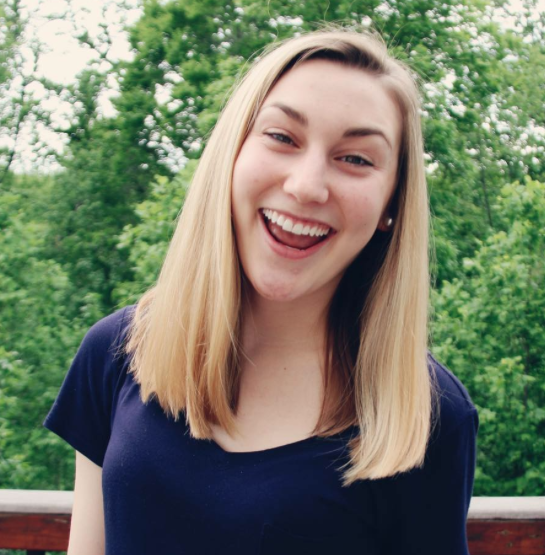 My name is Catherine Pollack, and I am a rising second year from Winchester, VA. I plan on majoring in biomedical engineering and neuroscience, but I have many interests beyond the sciences! When I'm not in class, I'm involved in numerous organizations around Grounds, including Engineering Students Without Borders, Cavs in the Classroom (through Madison House), research at the Center for Applied Biomechanics, and the Cavalier Marching Band (fun fact: I play four different instruments--clarinet, piano, saxophone, and more recently, trombone)! I'm super excited to serve you as an Admissions intern and summer tour guide. Feel free to email me, as I would love to answer any questions you may have on academics, music, student life, or anything you could think of! My past is riddled with instability, poverty, and abuse. Because of my own resilience and the QuestBridge Scholarship, I have been able to transcend these challenges as a first generation-college student from a small beach town in North Carolina. I am double majoring in Medieval and Religious Studies and I am currently involved in the Christian and LBTQ communities at UVA. I believe that college is an incredibly important time for people and I am striving to use my education and experiences at UVA to support prospective students and to eventually become a professor. I am incredibly excited to get to know all of you and to work with the Department this summer! I am a second year student from the Chicago suburbs studying both Government and Political Social Thought with the intention of focusing and eventually working on food policy. I'm fortunate to be a member of Alpha Phi Omega co-ed service fraternity, which affords me the opportunity to see and serve the Charlottesville community. I exercise when possible and will hopefully be training for my first marathon this summer! Additionally, I hope to spend the summer exploring Charlottesville, namely going on popular hikes, eating at popular restaurants, and all of the other Charlottesville gems that I can't seem to find time for during the school year. 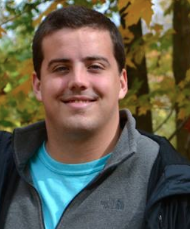 My name is Erik Morlock, I am a third-year Foreign Affairs and Global Security and Justice double major. I am originally from Stockholm, Sweden, though I grew up in Virginia Beach (Cox High School). I was a DOTL co-chair this year and will be the Virginia Ambassadors chair for next year. I am also President of Quidditch at the University of Virginia. I've grown to love working with prospective students through Virginia Ambassadors and I'm really excited to continue to do so this summer! Hi! 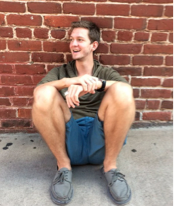 I'm Colby, I'm a second year majoring in Political Philosophy, Policy & Law and I hail from Alexandria, VA (yes, I am one of the thousands of NOVA kids). I am really excited to work in the Admissions Office this summer! As far as my interests--in my free time I love to bake, watch Friends and Gilmore Girls, exercise, craft, and hang out with friends at fun, new places in Charlottesville. At UVa, I am involved with Honor, Days on the Lawn, Aletheia Christian Fellowship, and Cavs in the Classroom. I can't wait to experience Cville in the summertime and check off things on my Charlottesville bucket list (oh yeah, I forgot to mention this, but I am a HUGE fan of lists)! 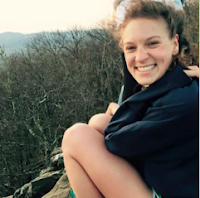 My name is Elaina Hill and I'm from Farmville, Virginia (home to Longwood University). 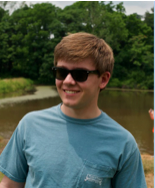 I'm a rising second year here at UVA and an interdisciplinary computer science major in the College. I am a member of Madison House on grounds and mentor every week at Computers4Kids in downtown Charlottesville. When I'm lucky enough to find free time, I love to paint, crochet, and head outdoors for long walks when the weather is nice. 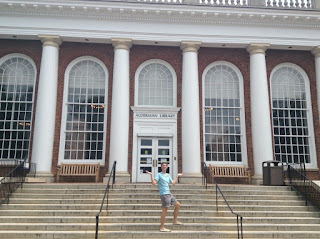 My name is Connor Andrews and I am a rising Fourth Year in the College of Arts and Sciences from Charlottesville, VA. I am majoring in History as an undergraduate, but will be beginning to work on my Masters in Public Policy and Leadership through the Batten School’s Accelerated MPP program this fall semester. My involvements around Grounds include Madison House, One in Four, and my fraternity, and I am currently working on a research project about University history and which is working to digitalize University documents from the nineteenth century. I am also an avid Boston Red Sox and Patriots fan. Hi everyone! 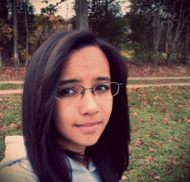 I am an incoming third-year from Lynchburg, Virginia and I am majoring in English and French. 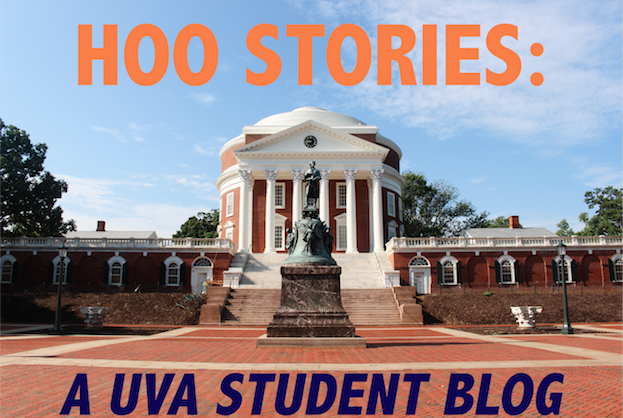 My interests range from writing to running to watching Netflix to cooking, but in terms of activities on Grounds, my main involvements lie in the Cavalier Daily (UVa's student newspaper) and a Madison House program called "Cavs in the Classroom". I'll be studying abroad in Lyon, France next semester so I'm excited to spend the next couple of months at home at UVA enjoying my favorite things about Charlottesville: great hiking, great food, and better people.